Silk Roads of Tajikistan Land of Mountains – Traveling Epic! Yep. I was able to secure a visa and go to the off the radar and relatively unknown (to the west) land of Tajikistan. If you have the opportunity to go, you should too. 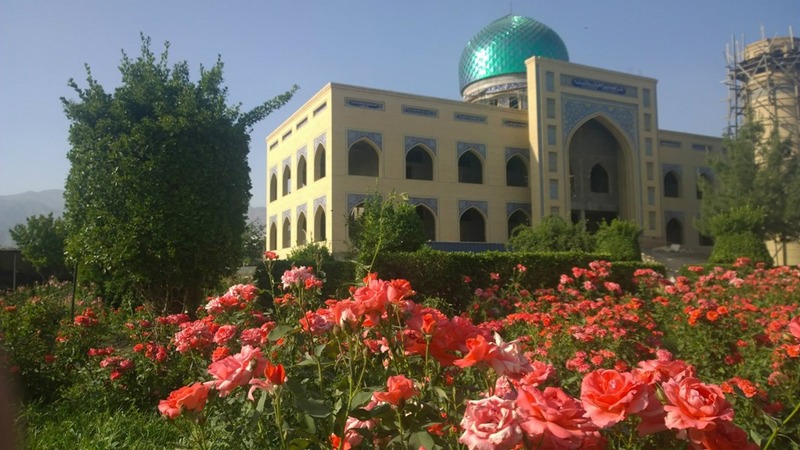 My trip was really a quick one, but what was expected to be a day trip to Khujand, what I expected to be an uneventful city near the border, was nothing like that. WIkitravel even had a line that made it seem like a yawn. Not so. It was really cool, and well worth the excursion that we did on our trek across Central Asia. 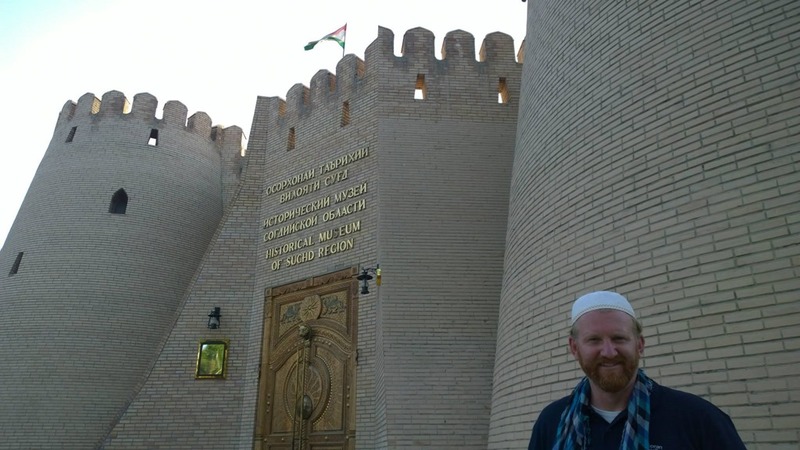 Visiting Khujand was a relatively inexpensive and very easy day trip from Tashkent, Uzbekistan. 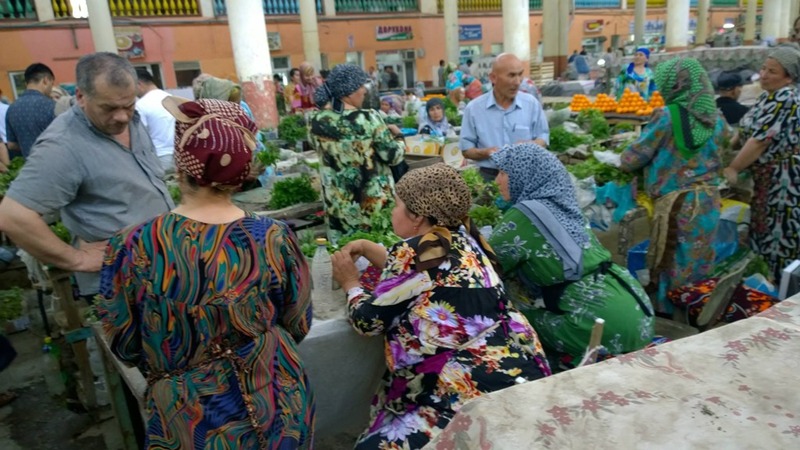 On this trip across Central Asia following old silk road trade routes we visited Merv, Turkmenistan, Mountains and Valleys of Kyrgyzstan, Mazar-e-Sharif Afghanistan. 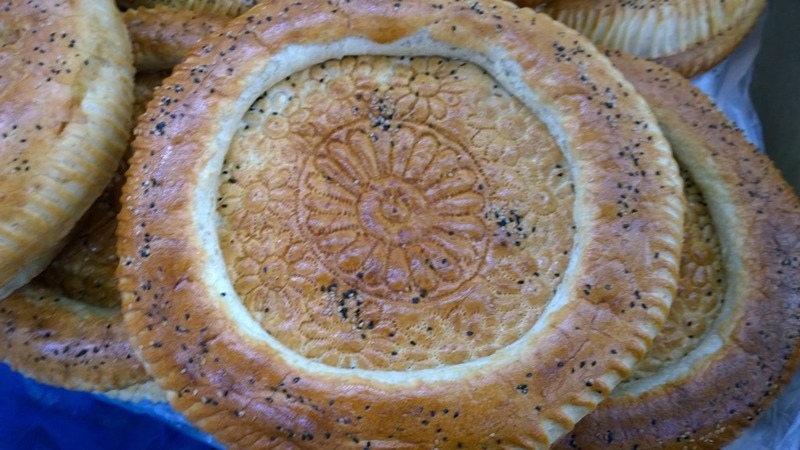 In my quest to visit all the countries of the world, I was really pleasantly surprised by Tajik. It was really cool, and the taxi guy we met at the border was very reasonable and treated us well. Not only is Khujand not simply a border town, it is the second largest city in Tajikistan, a land with mostly mountains. 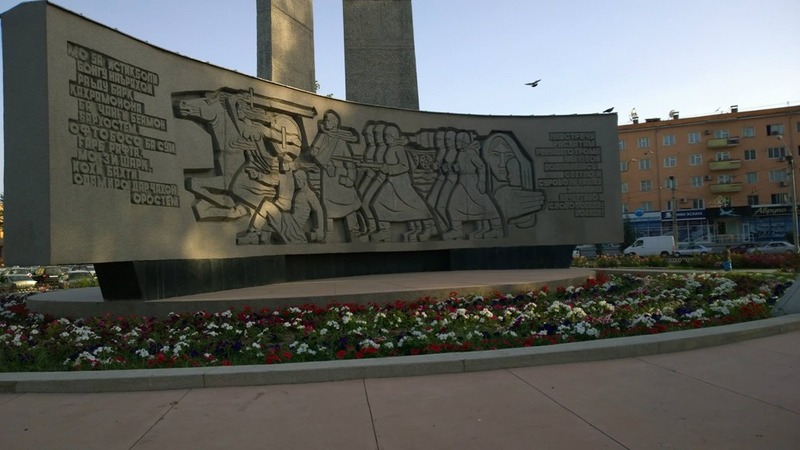 Khujand was formerly known as Khodjend or Khodzhent until 1936 and also named Leninabad until 1991. Apparently there is a large lenin statue somewhere, but I didn’t find it. I’ve seen Lenin himself still resting in Moscow and his birthplace and statue in Slovenia, so I wasn’t disappointed. On the contrary, it was a fanstastic visit. It has over 150,000 people and has an amazing square, vibrant city center, and a lot of history that is visible. 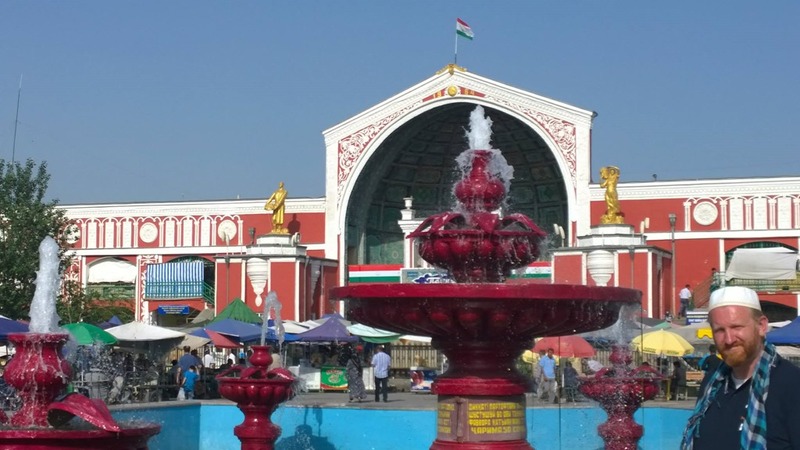 Panchshanbe Bazaar and Fountain– This is the ornate old soviet era bazaar. Filled with spices, meats, and hustle and bustle, but stop and watch a game of chess or a card game out by the fountain. 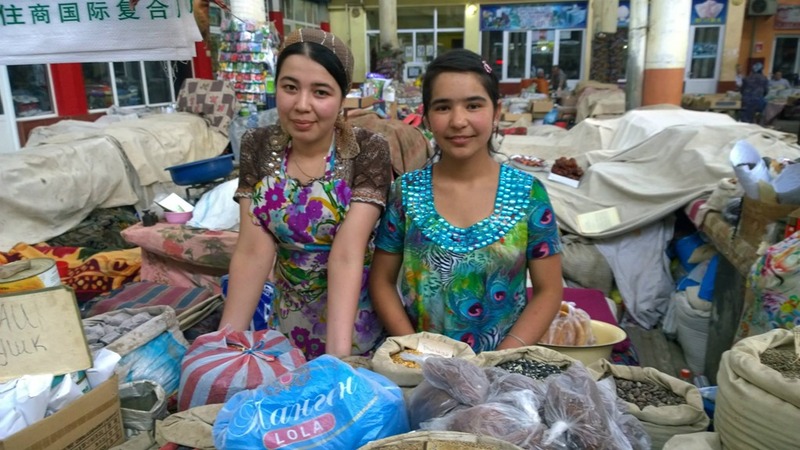 The faces of these Tajiks capture my experience… yes a diamond in the rough. A peacock amongst guinea fowl. This bright smile was one that asked me to take her picture. When was the last time you had someone really stop you in a market and ask you to take a picture??? In my travels, that’s a very rare thing. She wasn’t looking for money, she wanted to share her smile with the world, and I’m happy that I was able to bring this happy Tajik smile to you. Our visit to the central markets of Khujand was really an opportunity to be indudated with color. The women wear fabulous colors while most wear colorful head scarves as well. A day earlier I was in Afghanistan, a world where colors were much more muted with the burkas. There was a positive vibe and the colors worn in this market really helped bring out that spirit. Masjidi Jami mosque and medrese These roses were growing near this mosque which is still under construction. 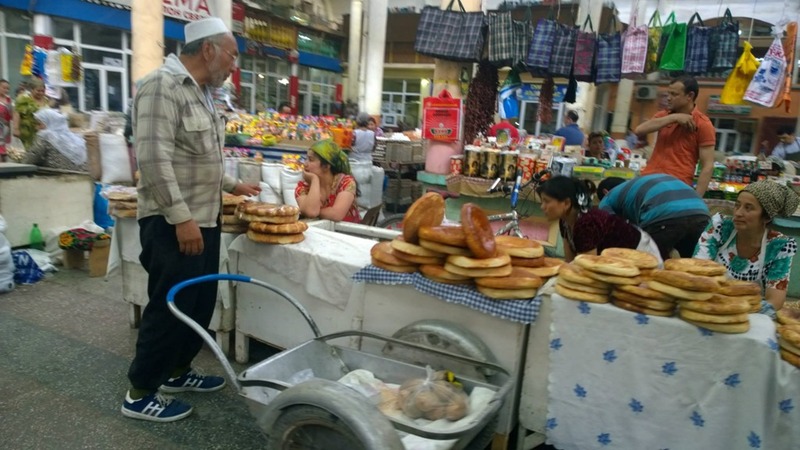 You can eat well and for very cheap in Tajikistan. 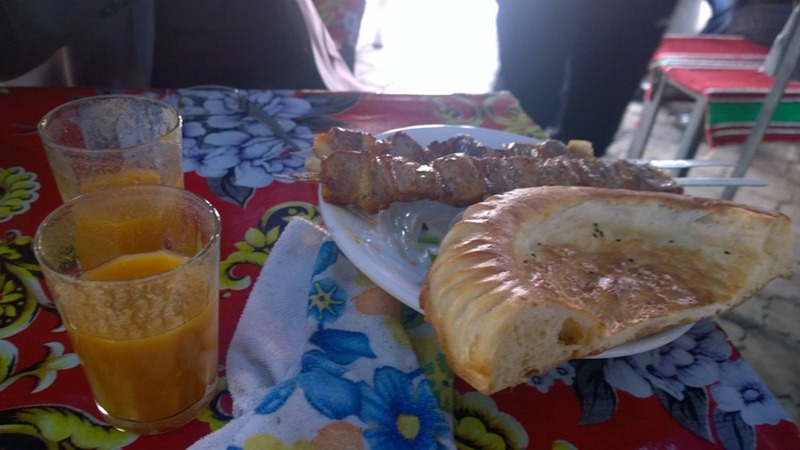 The cup of fresh natural apricot nectar is about 40-50 cents (USD) each, and the meat skewers or Shishka or Kabob are only $1. This amazing looking bread was extremly cheap, but is the staple of life. You get bread like this with every meal, but the designs do vary across the cultures. The Market and bazaar is filled with nuts, breads, spices, and bustling people selling and buying. At a park across the street from the bazaar is this monument. There are a few reminders of the old soviet times. The Old Citidel and fortress has been restored and turned into a museum and contains a historical museum of the Sughd region. 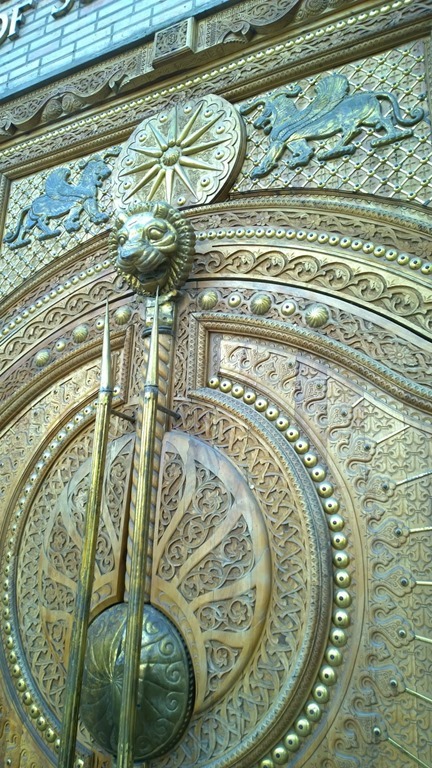 While there are very many forts in the area that are more impressive, the door itself up close is quite ornate and worth visiting for that alone. The lions and stars are incredible. Amazing door to the fortress and citadel. 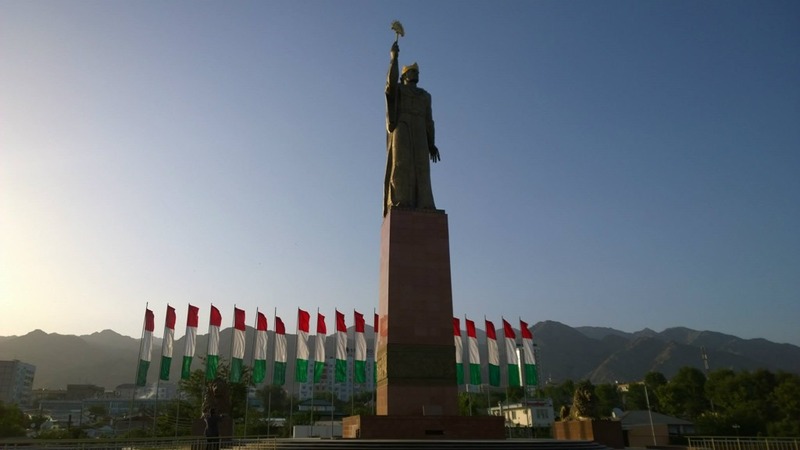 Ismail Somoni monument – Surrounded by Lions and the Tajik flag, this majestic king looks over the city and valley with the strength of the mountains to his back. Popular statue and fountain. Amazing landscape view of the city & valley. 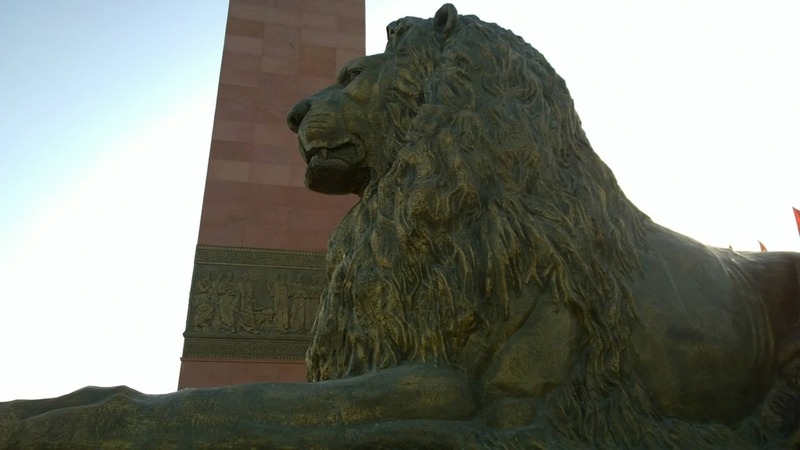 The power of the lion is a common symbol in Tajikistan. I had an amazing time in Tajikistan. After having such an amazing day, I’d love to come back to spend my time with my gracious hosts. They friendly people who refilled my apricot juice about 6 times, and the ladies in the market selling us nuts and letting us try and sample as much as we wanted. Thanks to the smiles and the nods and the long looks that made me feel like I was a stranger in an amazing strange, and mysterious land. 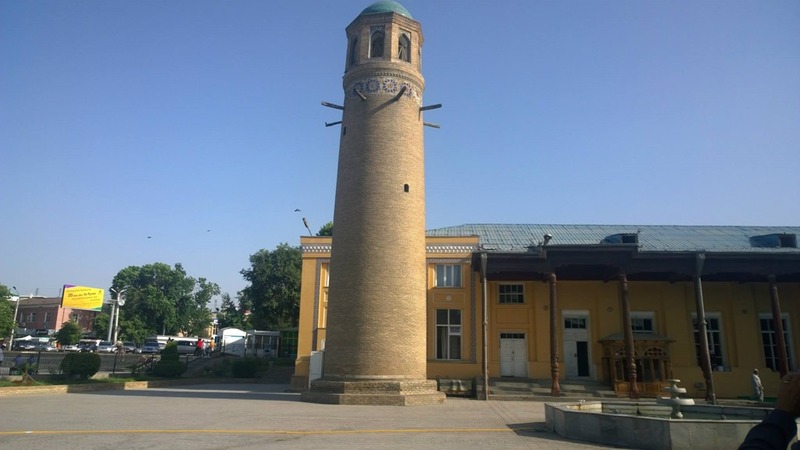 There are other travel references on Tajik travel to Khujand including Virtual Tourist Khujand, and Khujand on Wikitravel. The wikitravel page made me think it was worth skipping. I totally disagree. It was definitely worth the day trip from the Uzbek capital and the taxi on both sides really was a bargain. Nice overview of the city. Yeah, Khujand has some nice outdoor shashlik cafes — great that you were able to stop by one.